Welcome from the Seattle Bed & Breakfast Association! Our innkeepers welcome you to the Emerald City and invite you to experience an authentic “Seattle Way to Stay” at a neighborhood bed and breakfast. This association of independently owned, inspected, and professionally operated inns looks forward to helping you make the most of your stay in Seattle, whether you are here for a day, a week, or a month. 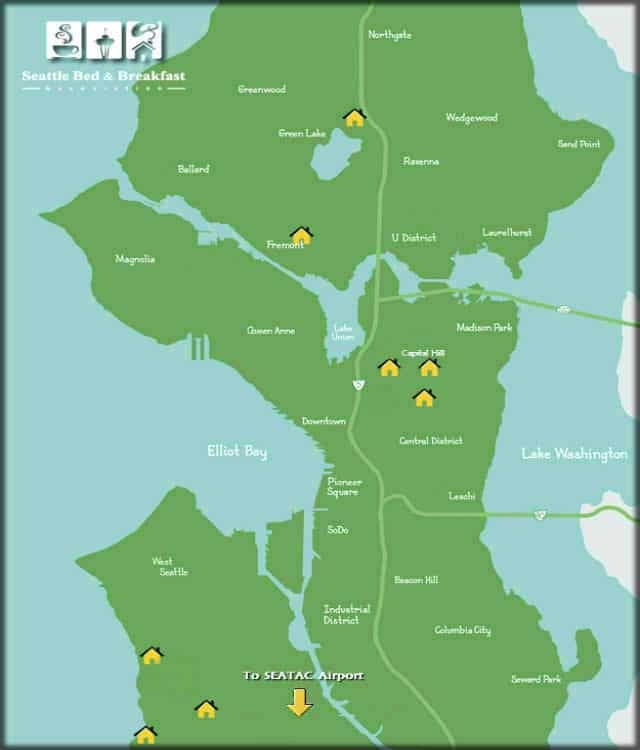 We are located in neighborhoods close to downtown Seattle, the Pike Place Market, and other attractions. All of our B&Bs offer personalized service, breakfast, complimentary Wi-Fi, and onsite or nearby free street parking. Many of our member inns have been featured in publications, such as Conde Nast traveler, USA Today, Cooking Light, National Geographic Traveler, Forbes.com, and other prestigious guidebooks. For reservations and personal assistance for specific information, see our “Inns” page or contact the inn of your choice directly. Please check our online availability or call 206-547-1020 for general information. APRIL- Friday, Saturday and Sunday 26th,27th & 28th -Cherry Blossom Festival , Seattle Center. A celebration of Spring and Japanese Culture in Seattle.